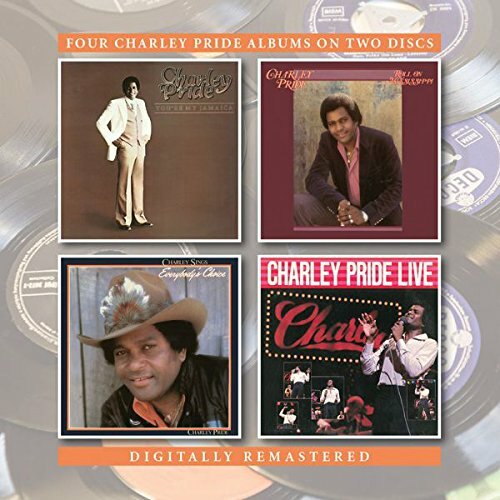 UK two CD set containing a quartet of albums by the country music great dating from 1979, '81 and '82: You're My Jamaica, Roll On Mississippi, Charley Sings Everybody'd Choice and Charley Pride Live. This package features the Country hits 'Missin' You', 'You Almost Slipped My Mind', 'You're My Jamaica' and 'I Don't Think She's In Love Anymore'. All albums made the Billboard Country chart. Pride continues to tour and gig. Digitally remastered and slipcased, and with extensive new notes.